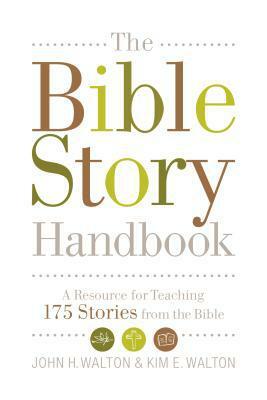 Book Review: “The Bible Story Handbook” by John Walton and Kim Walton | J.W. Wartick -"Always Have a Reason"
This looks great. I’ve read a number of Walton’s other books and have appreciated them. I have always been challenged by books Walton writes, in ways that developed me further and gave me lots of insights. I am a huge fan of his works. I had the chance to meet him last year and he was very gracious and had lots of insight in conversation as well.You can get the book for free in e-book form through Crossway’s “Beyond the Page” blog review program if you want to look more deeply into it. I know it’s not the type of review you most often do on your blog, but it’s one way to get into it if you’d like. I’m a big fan of Crossway’s program for blog reviews. Hm. It sounds potentially interesting, from your review. I do have to say I get skittish whenever Christians start talking about “the meanings of Bible stories.” Clearly, Bible stories *do* have meanings; and, as a member of a theological tradition that takes confessional standards seriously, I don’t believe that Bible stories have *unlimited* meanings, or that all “meanings” are equally valid. But I’m suspicious of rushing to “the meaning” or even “the meanings” too quickly, and don’t even know that “the meaning(s)” of the stories can be “taught” in the kind of didactic way that this book seems to advocate (again, only inferring, and maybe wrongly, from your review). As for why Cain and Abel were taught to their kids that way… on the one hand, maybe the teacher thought that was the only age-appropriate “meaning” to be found (though I doubt it). On the other hand, there are some Bible stories that, if you can’t teach them as they are, should wait to be taught! Interesting review – I will remember this book and check it out sometime. Yes, I think there is a danger to looking for “the meaning” in the sense of one and only, but there is something to be said for there being a reason (reasons?) God revealed this as inspired words. It’s a tough line, but I think that the authors do a great job walking the line and putting forward some great insights throughout the book. I don’t always agree, but I was often challenged and made aware of the depth of texts I hadn’t thought about as thoroughly before. Forgot to mention you can get the book for free in e-book form through Crossway’s “Beyond the Page” blog review program if you want to look more deeply into it. Got this about a year ago. As you said, the intro is great, very thought provoking. My one issue with it is that Walton seems to reject the idea of doing character studies of OT people, that attempting to derive examples to emulate/avoid from studying the actions and traits of those people is to forsake the purpose of the narratives they are found in. While I appreciate his corrective emphasis on making “God the hero” of every Bible story, I wonder if maybe he’s narrowing things just a bit too much. I do agree with this and probably should have highlighted this a little more. It’s a bit hasty at points, I think, to seemingly dismiss any possibility of character analysis and application from the people involved in the stories.